This year we decided to use ‘The Colour of Home’ by Mary Hoffman as a stimulus for all of our work during book week. Each subject co-ordinator took the book and planned a number of inspiring learning opportunities based around this book, which centres on a Somalian refugee, Hassan, as he embarks upon his first day at a British School. The children explored the journey Hassan had taken from Somalia to England and made some observations about refugees and, the older children, considered how they compared to evacuees. In the book, Hassan paints a picture of his home, back in Somalia and we asked our children to describe their homes, in both picture and written words. We considered which words Hassan would need to be taught first at school, which words were essential and this sparked a huge amount of debate with both children and staff confidently debating reasons why. In addition, the children had to explain mathematical shapes and concepts, imagining they were teaching Hassan for the first time. We also explored a few aspects of Somalian life, and all took part in some very energetic Somalian dancing. We explored the main religion of Islam and created some beautiful Somalian artwork. 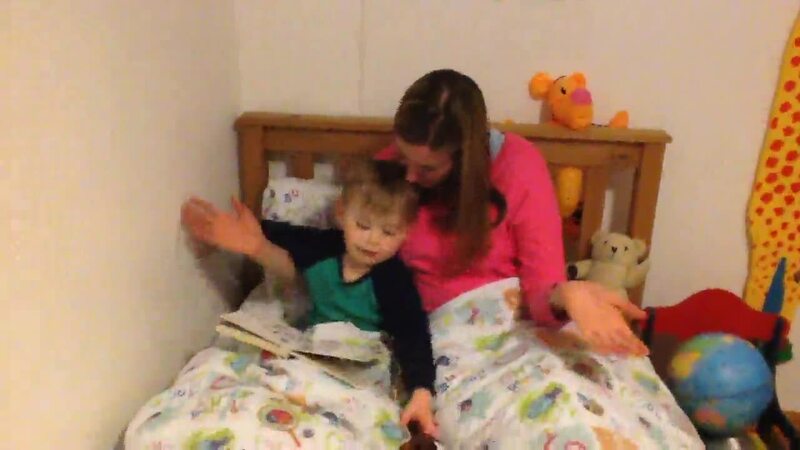 As you already know, we are also trying to promote bedtime reading this week as statistically less and less children are being read to before bed. Therefore we've set-up an e-mail address c.thwaites@ansdell.lancs.sch.uk for you to send your photos to. We've had a great response already as you can see below. Please help us to show the children how valuable this time is to them by sending a photo of yourselves reading together. On Monday, we had a visit from a fantastic story teller, who worked with every class in school to act out a mythical story. The children thoroughly enjoyed this - particularly the acting part! As well as retelling mythical stories, the children read the myth Hercules/Heracles whilst also watching a visual stimulus to see how myths can vary depending on viewpoint. Tuesday - the children have been creating and designing, using different techniques, their own mythical beast. Hopefully, by the end of the week, we will have a marvelous mythical display in the hall to share with you all. Yesterday was a fantastic day. The children looked at a range of bedtime reading books - some created their own bedtime story, some altered their favourite bedtime story ending however every child had the exciting opportunity to listen to a collection of bedtime stories with en experienced story teller. Thursday - another day full of wonderful reading activities. Year 6 have produced a range of outstanding bedtime stories which will be posted on here shortly. Also our mythical creatures are starting to take shape too. Hopefully, by the end of next week, we should have our display up in the hall for you all to come in and view. Please enjoy the bedtime books by Sofia and Elissa in Year 6 plus the video from Miss Holeman below. Book Week Dress Up Day - which mythical creatures and book characters can you see? Key stage 1 enjoyed spending a day in Explorers sharing and reading their favorite bed time story. They painted characters, created story inspired board and card games and designed new book covers.